This is "one I made earlier"-I have quite a few posts still in drafts so thought I'd share this one with you today. My favourite colour is turquoise and I've had this Papermania paper for ages and didn't want to use it but I thought it would go well with the Tonic Studios heart dies - Heart Base die, All my Love and Someone Special. 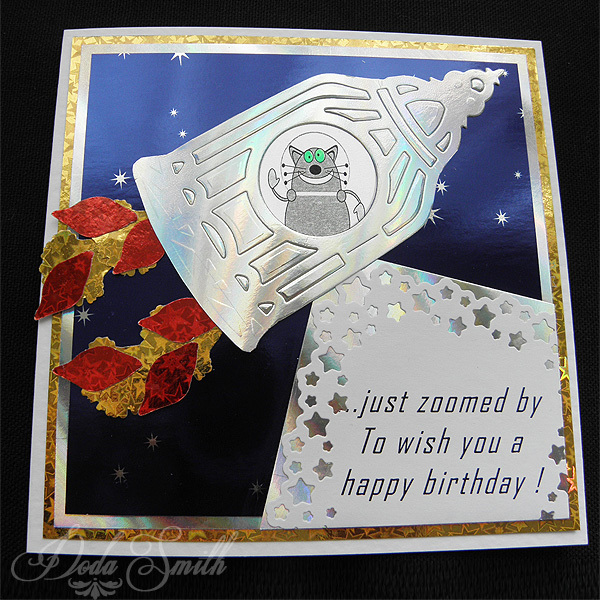 This is another pocket front card - these can be addictive when you start! I've used the beautiful Trimcraft Santoro paper from the 12x12 pad on the front and paper from the Curiosity Corner 8x8 pad on the inside part. 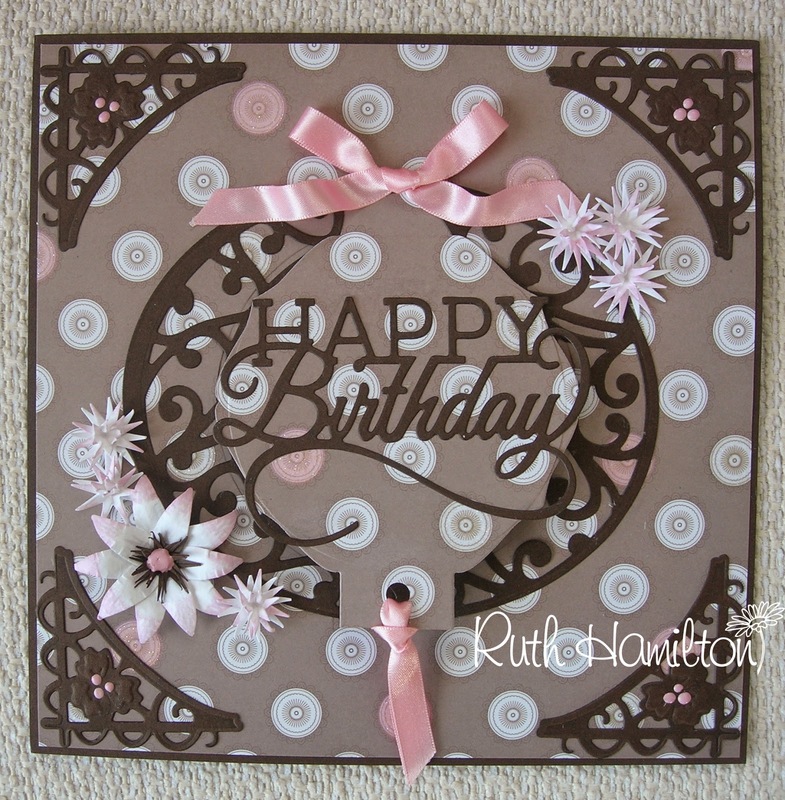 I embossed the pink card before punching to give a bit of texture to the flower petals. I'm sure I'll still be making up these frames when everyone else has moved on, but I do love them! 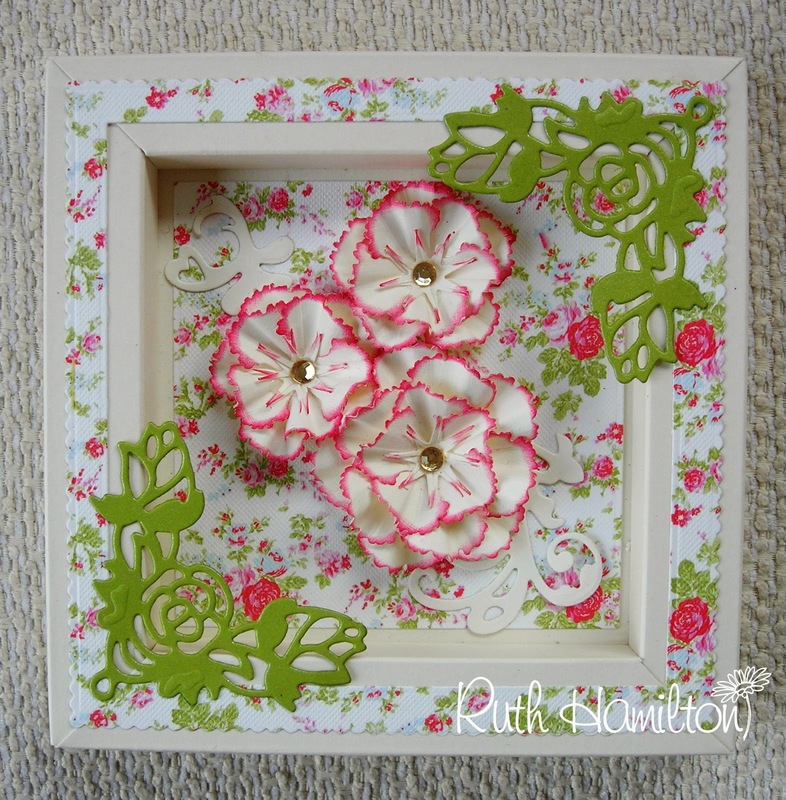 Particularly when they can be used to frame 3D flowers made from the Punch and Stamp sets. 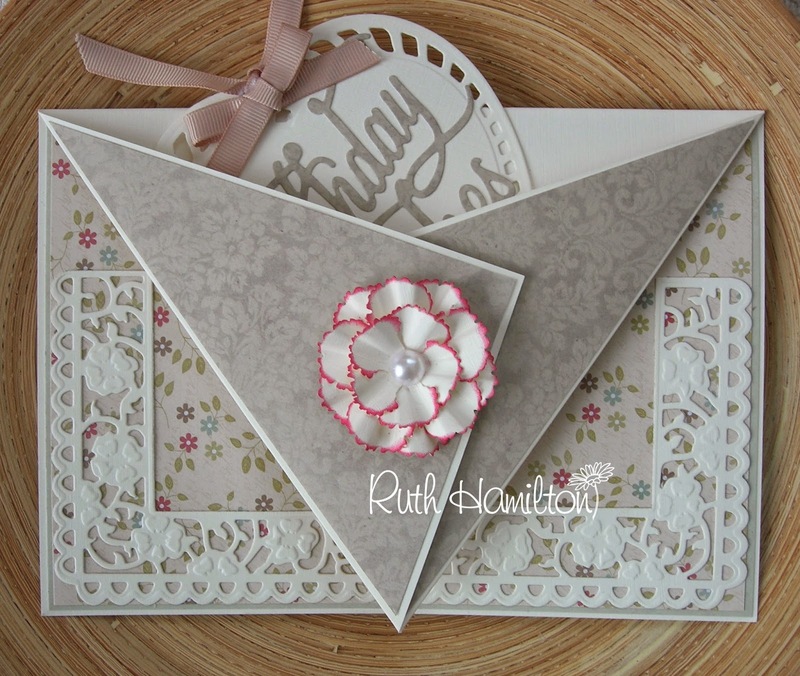 This is the Square frame with corners made with the Rose Deco frame die set. 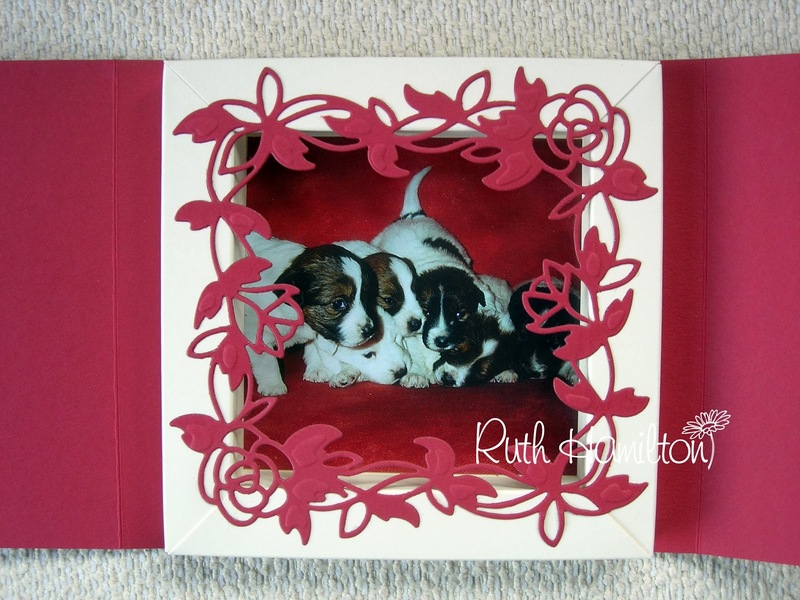 I've also used the scalloped squares and square dies sets to add a frame on top with the same paper (First Edition, Floral Pavillion). Have you been checking out the Tonic Studios Pick of the Week on Create and Craft? Hope you liked this one! As I said, I had so much fun making these! I thought the little zipper was a fun touch . 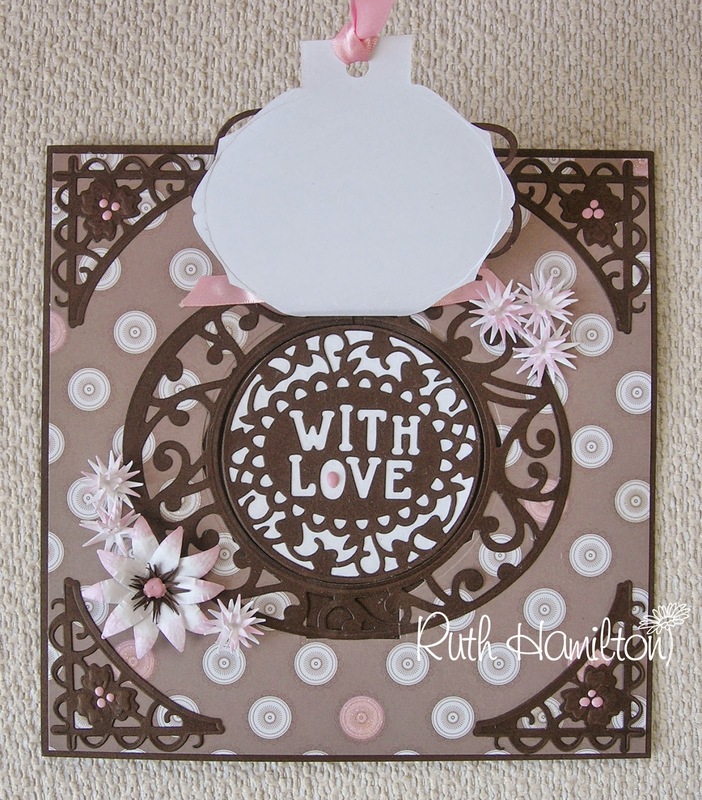 I have used the Indulgence Affections Heart Base die, "All my Love" die and the flowers are from the same paper as the card - made with the Carnation, Sweet William ,Peony Punch and Stamp set. Lots of the stock of the new semi circle Verso dies has already gone so you'll have to be quick if you want them now. 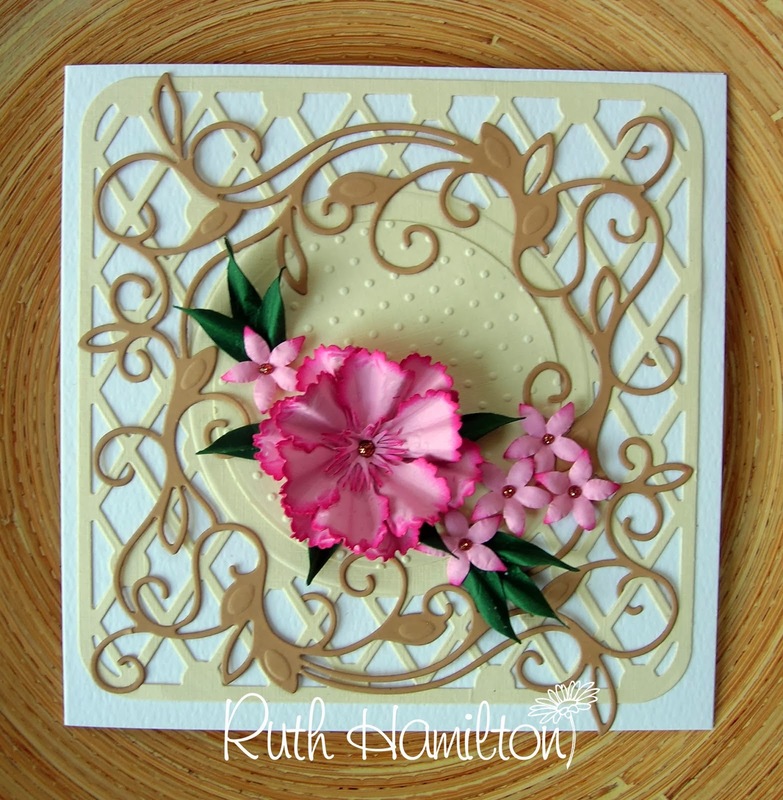 This time I've used the Butterfly Princess (using the same die twice) and created a stencil which I've inked through. I love this effect! You can try this with all the sets and get a lovely pattern each time. I've heard it said on more than one occasion that the Bird Cage die looks a bit like a space rocket. So I thought, well why not go with the flow ! I snipped off one or two bits and glued the cutouts back in for a more solid shape. 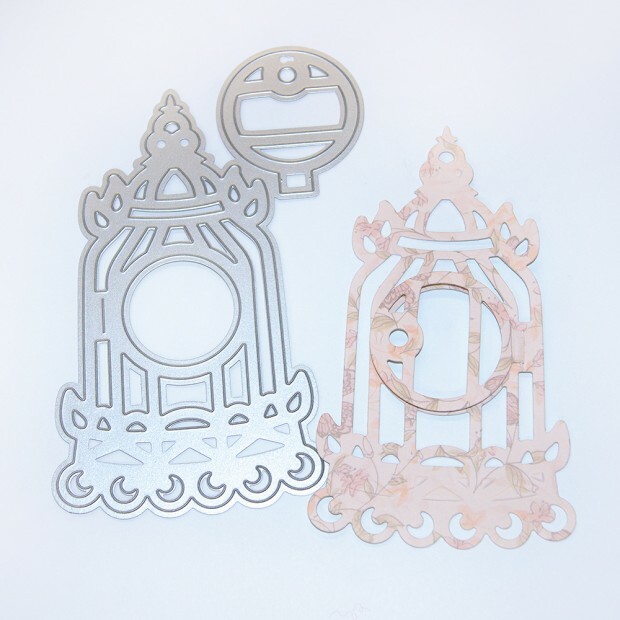 For the flames I have used the punch and stamp punches. So it's true...it really does look a bit like a rocket !